Albury Legal offers personalised service by Albury solicitors who have the necessary experience and skills to ensure that your legal needs are met. At Albury Legal, our principal solicitor and staff aim to behave with integrity in all our dealings with you. This means that we try to be upfront and honest with you in all aspects of your legal matter. Our solicitor strives to provide you with realistic and practical advice. In any work Albury Legal does for you, we do our best to ensure you achieve your objective, and obtain a successful outcome. If you have a legal matter (anything from a court case to a property sale), Albury Legal will give you a first interview with a qualified solicitor free of charge. At this interview, our solicitor will discuss your legal issue with you and provide you with initial advice. You are not charged for this first interview. At this first free interview, our Albury solicitors can often provide you with an estimate of our legal fees so that you can decide whether or not you want to engage us to handle your legal matter. We keep our costs to you competitive, and our costs are typically less than those charged by professionals with similar experience and qualifications who are based in a capital city. We are more than happy to discuss and negotiate our costs with you before starting any particular matter. 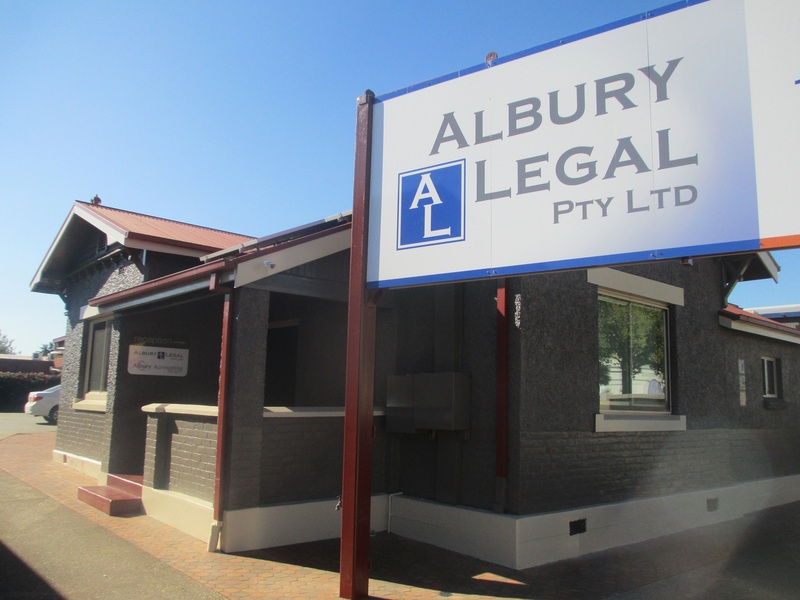 Albury Legal aims to provide you with the best professional service we can on a timely basis. We also aims to keep you regularly informed on the progress of your matter. We pride ourselves on the quality of our professional work for you, and our solicitor’s legal work is covered by professional indemnity insurance. Albury Legal is a general legal practice which can assist you in most major areas of law (except for family law). Our principal solicitor has had years of experience helping a broad client base to resolve a range of different legal problems in the Albury Wodonga area. If you have a legal problem or need legal recommendations, do not hesitate to contact us. 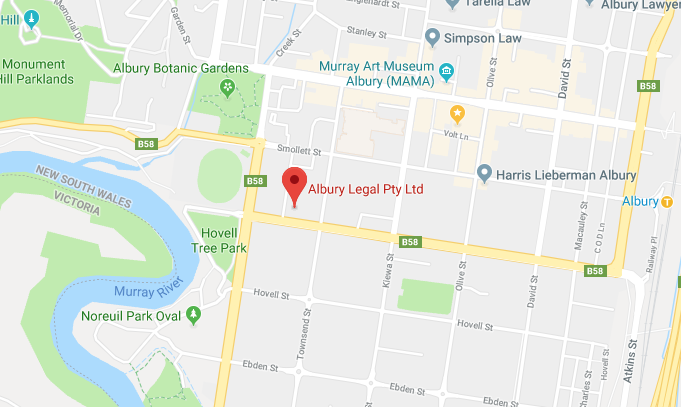 With Albury Legal residing in the Albury CBD opposite the Alessi car dealership on Hume Street (the old Hume Highway), our office offers clients a convenient location for appointments with ample street parking. Our office is conveniently located near the Hovell Tree Park and McDonalds. If you have the need to research any particular legal question quickly, click here. It has excellent information regarding legal studies, careers and news regarding law.